Walt Darran passed away yesterday, November 15, 2013. Walt Darran, a good friend, passed away yesterday, November 15, after fighting a battle with stomach cancer. Our thoughts and prayers are with him and his wife, Christine. Walt was the first person we went to when we began our series of articles featuring aerial firefighters answering 12 questions about their profession. Below is what we posted on Fire Aviation January 18, 2013. We begin the series with one of the most experienced and well-respected pilots, Walt Darran. Walt has retired from active duty as an S2T air tanker pilot with CAL FIRE/DynCorp, and is now the Safety Committee Chairman of the Associated Aerial Firefighters and also serves as the Chairman of their Board of Directors. Who is one of the more memorable aerial firefighters you have known? And why? Don Ornbaum, airtanker pilot. In addition to his outstanding stick & rudder skills, Don’s ability to succinctly, powerfully, and without reservation present his ideas, both positive and critical, based on many years of aerial firefighting, which added greatly to the legend and store of Tribal Knowledge in the early days of aerial firefighting. 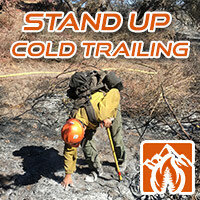 One piece of advice you would give to someone before their first assignment working on a fire? Think. Never forget the option to just say “no”. Besides the obvious (funding), what is the number one thing government Fire and Aviation should focus on? Two-way communication; outreach to firefighters in the field, both boots on the ground and aircrews, preferably one-on-one face time. There is currently a severe disconnect. Desk-bound managers at Fire & Aviation occasionally riding jumpseat on live missions, and maybe living out of a suitcase attached to an airtanker for 3-4 months at a time away from home, would help close the gap in their understanding and empathy. 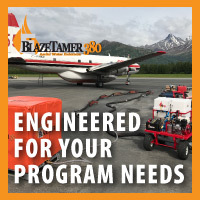 One suggestion you have for ground-based firefighters about fire suppression tactics, or working with aircraft? Better communication. Visit your local airbase occasionally and have a cup of coffee with the aircrews. Better yet, call and debrief after an incident with suggestions (or even praise!) about a specific drop or incident. 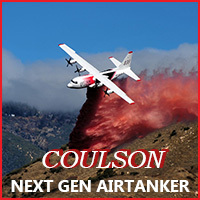 Check into airtanker.org; consider joining Associated Aerial Firefighters. “Lessons Learned” —Tribal Knowledge; now available in NTSB accident reports, NAFRI I and II, Cal Fire Safety seminars, and airtanker.org forum and archives. Experience is one way of learning, but it’s not always the safest, most effective, or most efficient way. 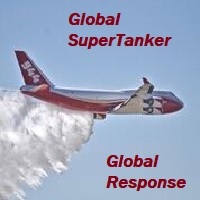 Which two aircraft manufactured within the last 20 years would make the best air tankers? If I had to pick only the two most cost-effective, flexible, Initial Attack aircraft that are FAA certified I’d have to say the Sikorsky S70C Firehawk and the Airtractor AT802AF (lots of them, all over the place, real IA, on “exclusive use” contracts, not CWN; including the Wipaire FireBoss amphibian option). Bombardier CL415 and AW319 are close behind. C130J with MAFFS II is OK for surge, but probably cost-prohibitive, and not as effective/efficient as a C130 with RADS. Remanufactured, or newly converted, choices would include BAe146 (and RJ85), Erickson Sky Crane, DC10, B747, Grumman S2T, DeHavilland Dash 8-Q400, and C130H with RADS. Beriev BE200, Shinmaywa US-2, and Kamov KA-32A11BC have potential if/when FAA certified and given adequate OEM support. But they are all just tools in the tool box—each works well if, and only if, dispatched in a timely manner, then properly applied by a proficient crew in the appropriate situation. 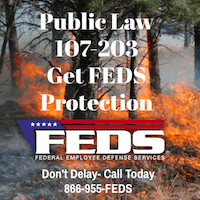 List the aircraft you have flown, or flown in, on fires. Which is your favorite, and why? Flown on fires: Grumman TBM, Grumman Ag-Cat, Grumman S2A/T, Stearman PT-17, Lockheed P2V-5/7, Beech D18, MELEX Dromader M18T, Consolidated PBY5A, Fairchild C119C, Douglas B26, Douglas C54E. Carded on DC7B. Flight time in (airline/military, not airtanker conversions) Lockheed L100 Electra, DeHavilland DH4 Caribou, MD80 (series), DC10-10/30, Douglas AD4 Skyraider, Pilatus Tirbo-Porter. Airtanker evaluation flights, with drops, in BAe146-200, DC10-10 (jumpseat on fires), Airtractor 802 AF, and FireBoss. Loved them all, but felt most at home in S2A and S2T. The S2T has a big advantage in reliability, tank system, capacity, speed, maneuverability, performance, and comfort. 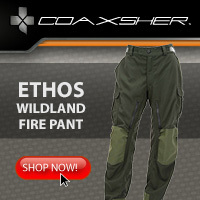 The funniest thing you have seen in aerial firefighting? Joe Satrapa describing to a reporter how a Heavenly vision of John Wayne told him to open the overhead hatch in his S2T, piss on a rag, and use it to clean his windshield in flight (after the retardant from the previous airtanker drop had totally obscured his cockpit vision). How many hours have you spent in firefighting aircraft? Your favorite book about fire, firefighting, or aerial firefighting? Firebombers Into Hell, Linc Alexander. Air Attack on Forest Fires, Alexander Linkewich (Linc Alexander). Firecrew, Ben Walters with Kelly Andersson. 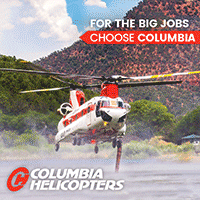 The first job you had in aerial firefighting? Pilot for Hemet Valley Flying Service, 1971. What gadgets, electronic or other type, can’t you live without? GPS, TCADS [a collision avoidance system], iPhone with lotsa apps, air conditioning. Wish list; GPS moving map display with IR (Max-Viz) SVS overlay, ARINC with printer, auto-pilot, Electronic Flight Bag on iPad, Appareo Flight Reconstruction System. Folding gas-powered motor scooter. Walt inspired and helped many of us in this industry. Always willing to help the “new” guys, share the knowledge. 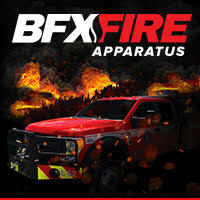 For the last decade was the main motor behind the Association of Aerial Firefighters (AAF. 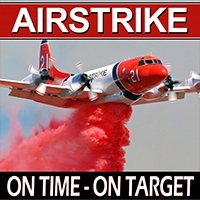 airtanker.org). We discussed for hours about new ideas, concepts, potential airtankers. Different opinions sometimes but always willing to listen and try to understand the other point of view. He enjoyed life to the fullest, traveled the world in the air or at sea with his loving wife Chris. He was so proud of his sons Scott (the aviator) and Jay (the sailor). I did not fully realize what he was going through..
I’m shocked to hear about the passing of Walt. 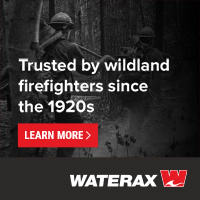 After first meeting Walt at an aerial firefighting conference in Malaga Spain, Walt and I used to discuss passionately about the US air tanker program and how we could improve aerial firefighting globally. My thoughts are with Christine as they were a special couple who loved life and valued the special things in life. I will miss my new found friend. Walt will be missed, and his passing leaves a large hole in the sky, and in the industry. We’ll look for him in the smoke. Walter Darran departed Friday November 15th before the sun rose. He was 73. He lived his life with a passion for his loved ones and friends, the aircraft he commanded, and the boats he sailed. Christine, his wife and last love, sons Scott and Jay, two grandchildren, and a host of extended family and friends around the world will miss him. He experienced the thrill of a catapult launch off a carrier deck earning the Distinguished Flying Cross and the serenity of sipping champagne after piloting lighter than air balloons. After retiring from American Airlines he returned to firefighting, flying an airtanker for Cal Fire, out of Chico where he had chosen to reside after having experienced living and traveling in a host of exotic locations around the world. Many of his contemporaries felt he lived a charmed life. In reality he charmed life. His imagination, thoughtful insights, and generosity will be sorely missed. We are helping Chris arrange for a celebration of Walters life looking at Chico facilities in December. When arrangements are completed I will post the information. All well wishers will be welcomed. Thanks Dean. Excellent! Keep us posted on the plans. I met Walt and Christine in Aix en Provence during last years Aerial Firefighting Conference. Walt took the time to listen to my inane questions, swap stories of flying, and generally welcomed me into the world of aerial wildfire suppression. He made me feel as if I was an old hat with the group. I guess thats what aviation enthusiasts do, bring people in. He and Chris certainly did that. During that evening over a beer and an initial attack discussion, Walt really got a kick out of the fact that I was S#@! upon by about 10 pigeons, apparently flying aided and hunting for targets ..I will remember his laugh. He wrote to me shortly after regarding a very special flight that we had discussed that evening. He was particularly proud of that event in another time and another place….He was right to be. I never got a chance finish that discussion with him. Something to look forward to on the other side. Christine, you and your family are in our thoughts and prayers. RIP Walt, you earned it. Mac, the pigeons had only one target… you! Walt was next to you and was untouched. That was quite funny indeed. Walt was an expert in many fields but instead of starting a monologue about the subject, he always take the time to listen to others’s point of view. He enjoyed dicussing, debating and respected other opinions. Good example to follow. He also brought good humor telling funny or intereresting stories to the group. Walt loved life, and was always full of ideas for new things to try. He was dedicated to flying and suppression of wildfire. I enjoyed spending time with him. The American Helicopter Services & Aerial Firefighting Association (AHSAFA) offers our condolences to the Darran family. Walt was a friend and mentor as I tried to learn about aerial firefighting quite a few years ago. He will be missed by all in the aerial firefighting industry.